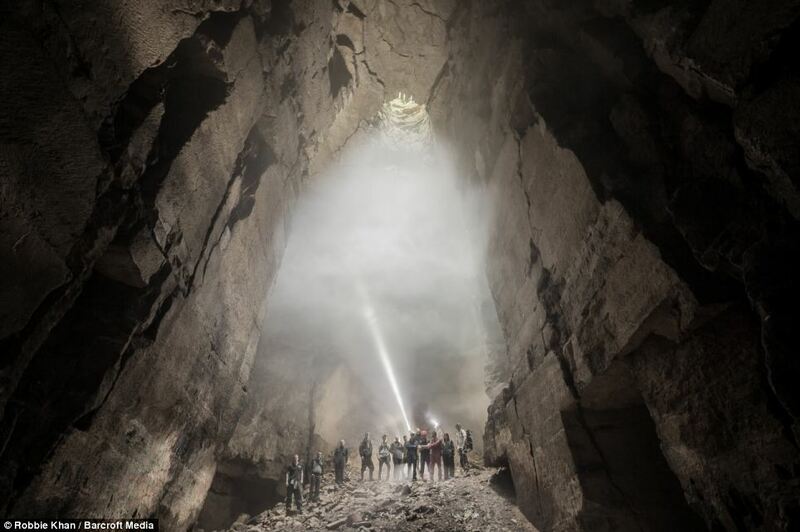 Incredible pictures of the 125ft tall underground ‘cathedral’ that is actually an abandoned mine in Wiltshire. With jutting stone pillars reaching towards a beacon of celestial light high in the roof, the majestic ‘cathedral’ chamber certainly lives up to its name. 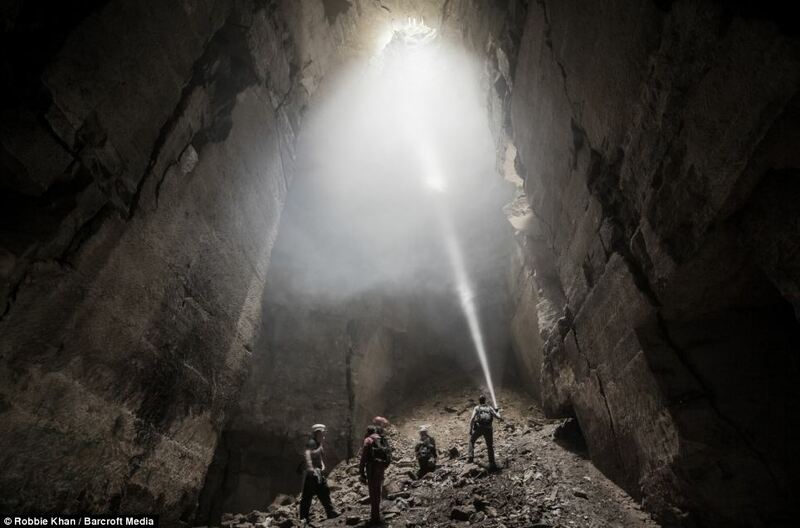 This amazing 125-foot tall chasm is actually just one of a number of stunning rooms and passages in an abandoned mine in Wiltshire. 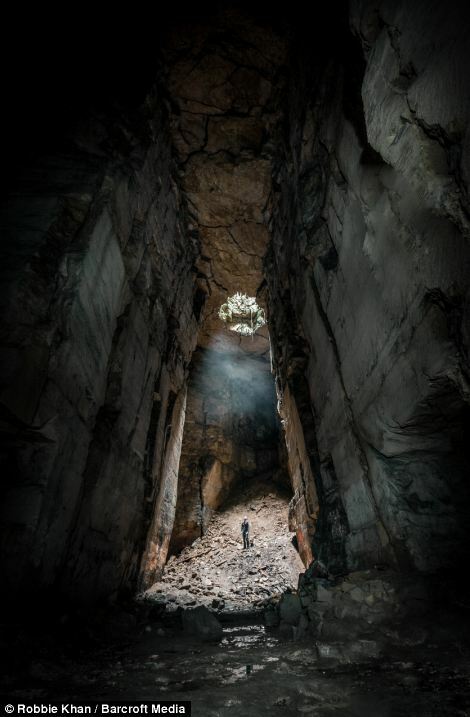 The shots were taken during a caving-camping trip by photographer Robbie Khan – and capture the stark beauty of this ancient free-stone quarry, located in the tiny town of Box. 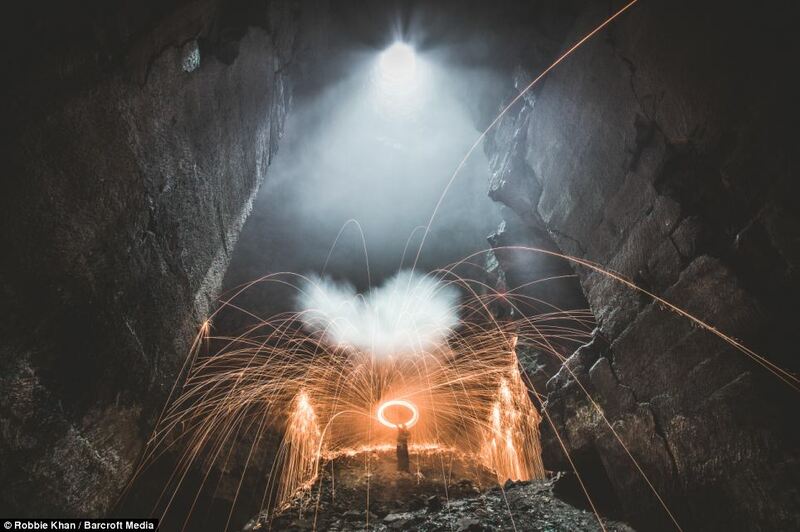 He descended into the dark depths with a fire-juggling friends Oliver Nelson and Myk YP to cast a unique light around the interior of the mine, which is said to date back to Roman times. In the early morning, when the photo was taken, the condensation from the stone creates an eerie mist. Box Freestone Mine, abandoned since 1968, has more than 90km of passages and is a mecca for brave explorers and professional cavers. But only five to 10 secret entrances are used by explorers. Caving in such an environment can be incredibly dangerous unless you are very experienced, according to Mr Khan, as there are scores of open wells littered about and if you don’t have adequate lighting – they could be fatal. Cavernous: The enormous ‘cathedral’ chamber of the Box Freestone Mine measures 125 feet tall, 120 feet wide and 120 feet long. 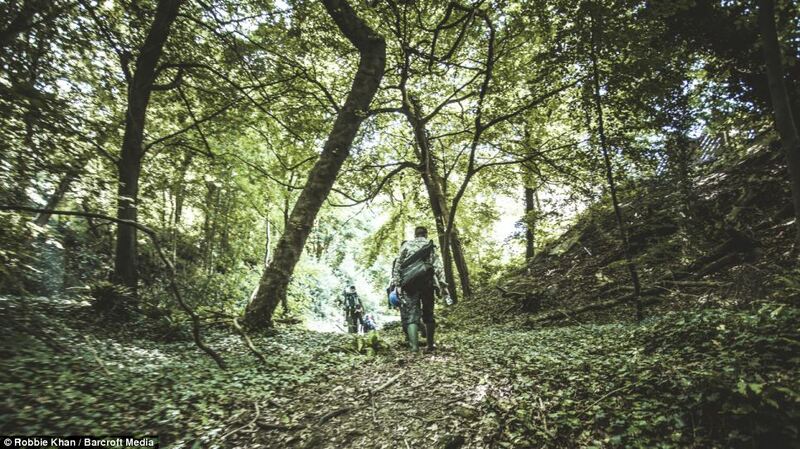 He said: ‘As long as you have all the right gear and lighting – lighting is vital – you’re fine. But you have to be experienced too and always wear a hard hat. ‘There are open wells scattered about and I’m not sure how deep they are but you can’t see the bottom. ‘My explorer friends and I went to the Box quarry last month and some even camped down there with tents and had barbecues. Crazy. 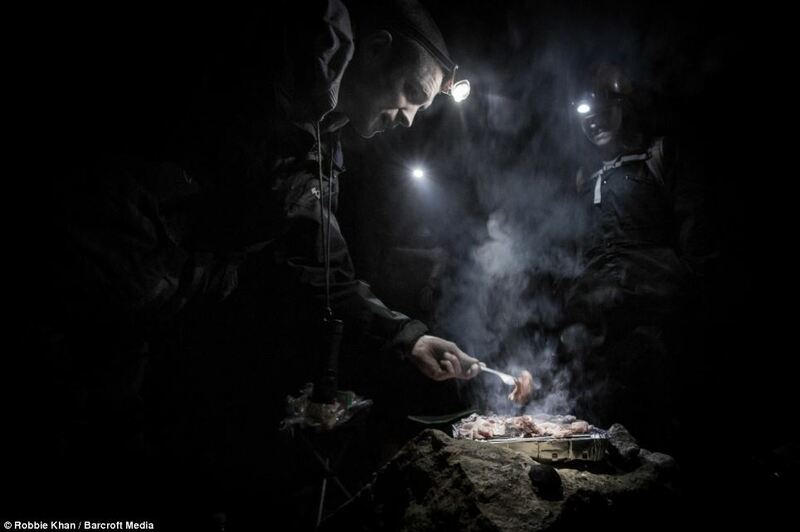 Hungry work: Explorers barbecue some food while camping at Box Freestone Mine in Box, Wiltshire. According to Robbie, the quarry is slowly collapsing so explorers have to be aware of that too. He said: ‘It’s caving in over time so you have to check the state of the rock and make decisions about which routes are unwise to take. Robbie added: ‘But I love the excitement and the sheer size of places like this.